I love everything about the summer. Living in California the weather is always perfect. Summer is the season to enjoy the outdoors with a picturesque hike or hit the cool waters at the beach and pool. However being out in the sun has its responsibilities. 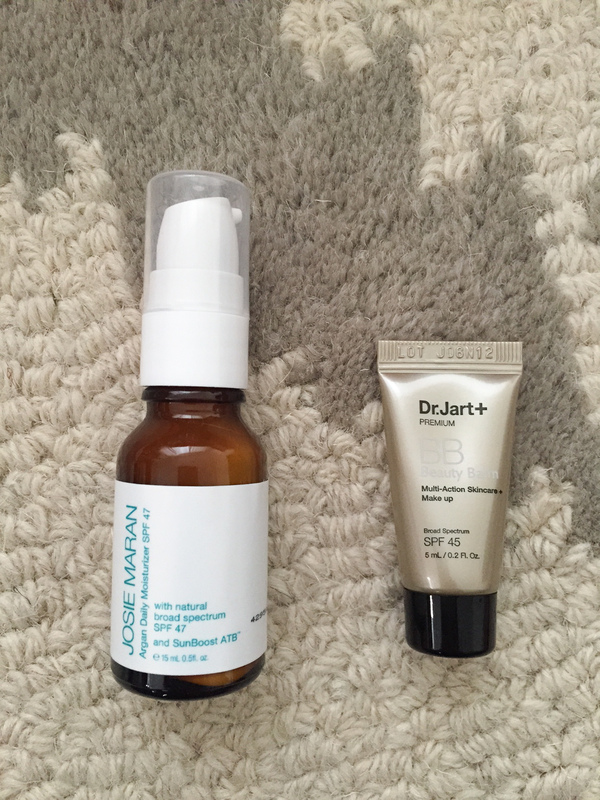 I’m an avid believer and user in using a broad spectrum (UVA + UVB) sun protection of at least SPF 30 for my face and SPF 45 for my body. 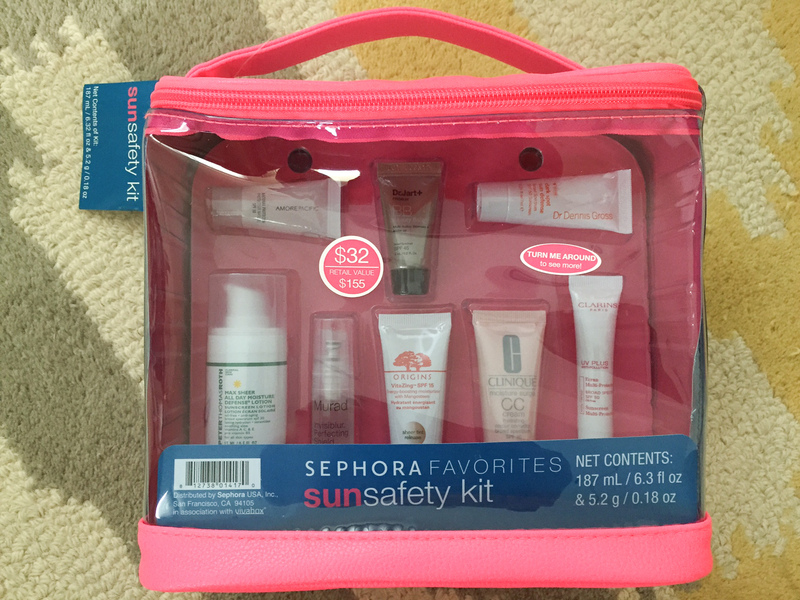 So naturally as a lover of Sephora + SPF I always buy Sephora’s annual Sun Safety Kit. 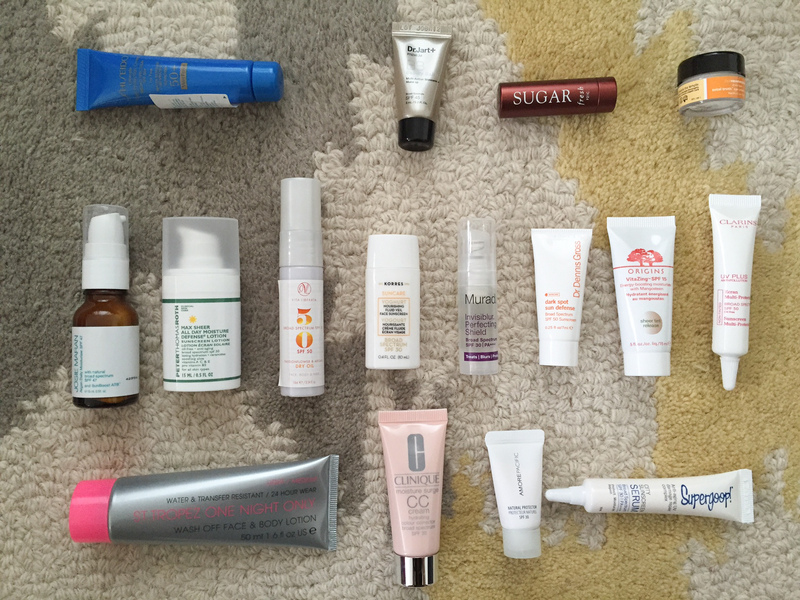 It’s a curated collection of everything SPF to protect from head to toe. 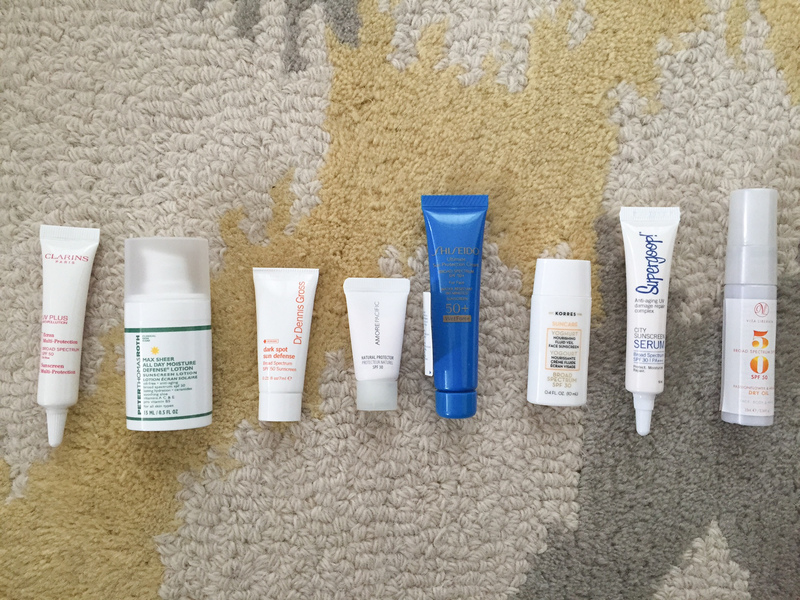 This is a perfect introduction to try various products carried at Sephora, like tinted sunscreen, primer, self-tanner, BB cream and serums. 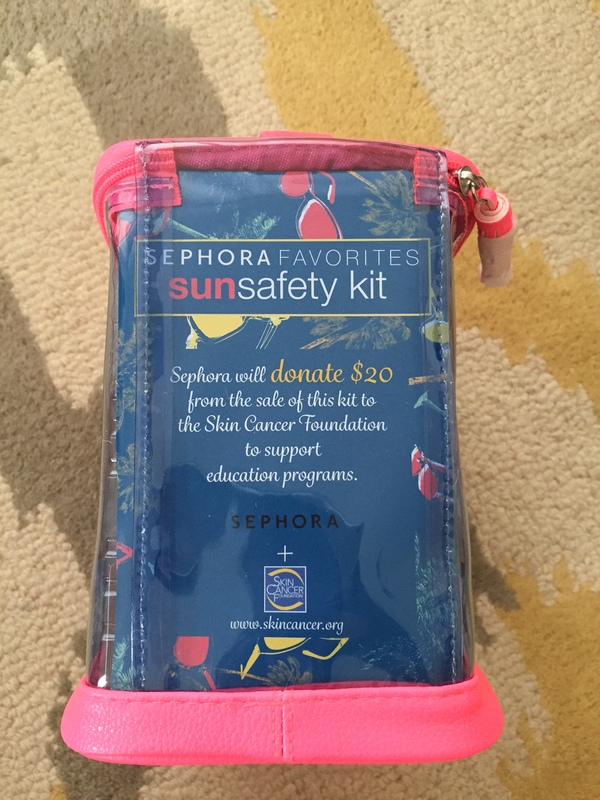 It’s also a wonderful way to try different types of sunblock products–physical (zinc oxide, titanium dioxide) and chemical-based (oxybenzone, avobenzone, octisalate) sunscreens. 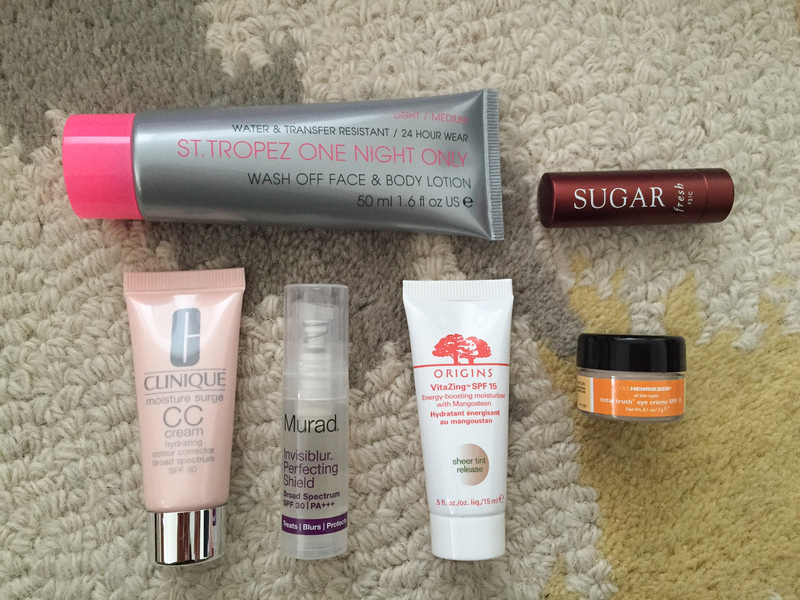 The sizes are perfect–airplane-friendly and compact enough to place in my purse. 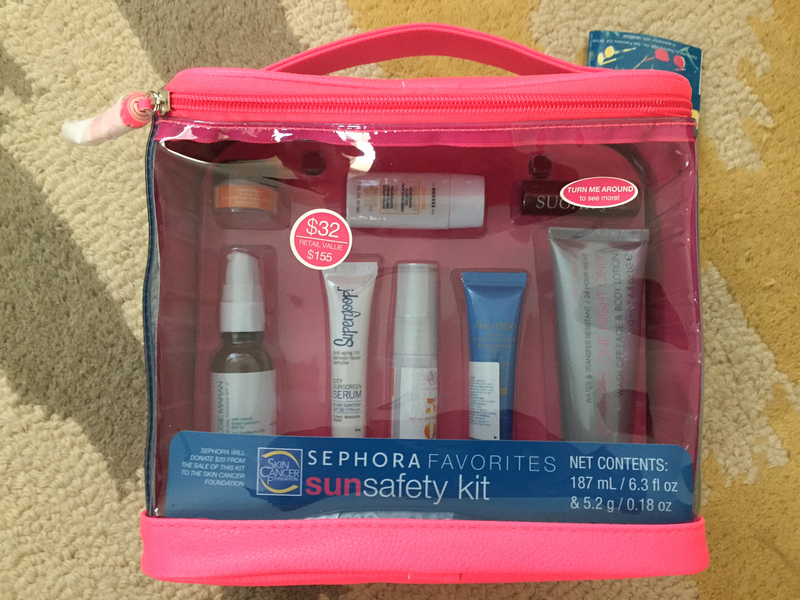 I picked up the Sephora Sun Safety Kit 2015 at Sephora and it is packed with favorite oldies and new products I look forward to trying. This year it’s $32 (retail value $155) for 16 products. 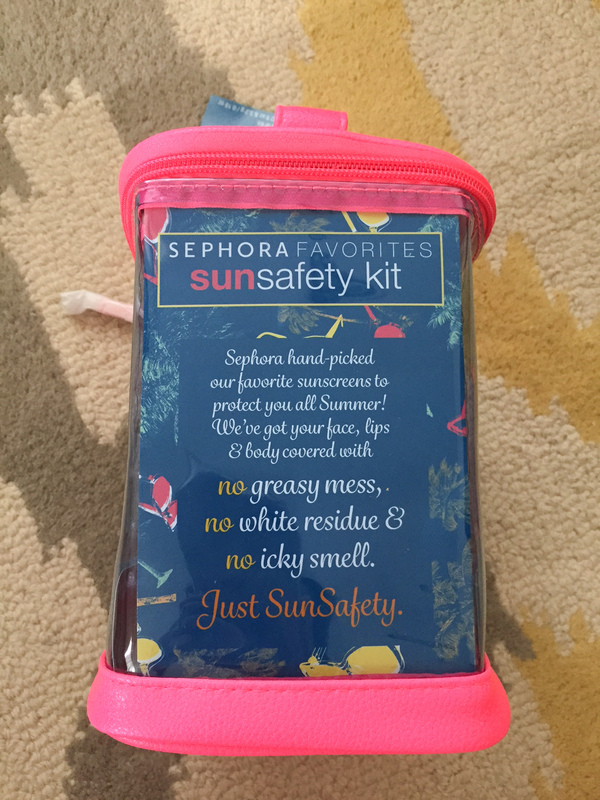 Don’t waste your money on buying anything beyond SPF 45 because it doesn’t provide any better protection beyond 45. Regardless of seasons or a cloudy day, it’s always important to protect your skin by wearing SPF everyday, especially on the face. I always wear at least SPF 30 on my face, neck and chest area. Reviews to come as I try them all.